A detailed assessment of the mid/long-term operating environment for global refining and the implications for products trade. A detailed assessment of the mid/long-term operating environment for global refining and the implications for the oil products trade. We forecast products demand and review refinery investments to identify the likely pressures on the refining sector and what this could mean for refining margins in the next 5-10 years. Despite the recent OPEC and non-OPEC production agreements, we continue to forecast a stable oil price of around $70/bbl for the next 5 years or so. We expect products demand to be robust, especially for light distillates (naphtha and gasoline) but also for middle distillates too, especially in the wake of the IMO 2020 bunker fuel spec changes. At the same time, CAPEX for investment in any part of the oil business will be limited, with refining investment continuing to be under pressure, particularly as longer term demand forecasts are showing demand plateauing in the early 2030s and declining thereafter. While there are many projects announced in the press, only a small percentage are actually built! Consequently, the pressure on existing capacity and what is built is increasing. There is plenty of potential for refinery margins to be strong for the foreseeable future. In this study we look at this potential, what the main drivers are, and how long it could last for. Refiners are continuing to invest in sophisticated upgrading capacity, essentially converting fuel oil into gasoline and distillate. Recent and imminent new capacity has focused on middle distillate production in particular. But has the low crude price environment resulted in a shift towards gasoline and if so, how long will this last for? 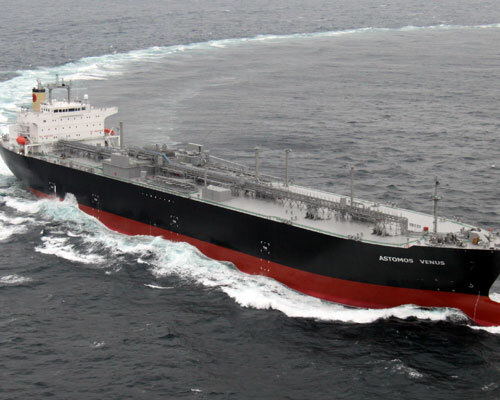 2020 will see the biggest change ever to the demand barrel with the introduction of new specifications for bunker fuel oil (to 0.5% sulphur content max without flue gas mitigation) for the world’s marine fleet. We look at how refiners and the fleet will react to this, as well as the implications for middle distillate and fuel oil demand and balances, product cracks, and refinery margins. Will there be enough refining capacity? Is there enough middle distillate available? What will happen to product prices, especially for fuel oil during the transition to the new environment? How long will the transition last? Our conclusions will highlight how demand pressures are impacting refinery utilisation and how this is supporting refinery margins. It will also reinforce our earlier messages about the IMO 2020 regulation changes; all set within an internally consistent framework of refinery capacity, estimated refinery margins, and product prices. We review how surplus refining capacity may change, challenging the traditional call for further reductions in capacity. How will products demand evolve over the next 10+ years? How might refinery investments develop over the next 5-10 years? How are refiners responding to the IMO 2020 bunker fuel spec changes? How does refinery capacity match up to products demand? Has the need for refinery capacity closures passed? Indeed, do we need to build more capacity? How will product trade flows develop? What will happen to refinery margins over the next 5-10 years? A review of the global oil market outlook. An assessment of refinery capacity additions. A review of the implications and possible outcomes of the IMO bunker fuel specification changes in 2020. Changes from our last Annual World Refining Outlook. How a global product supply/demand balance is likely to be achieved. Downstream Operators Needing a perspective on the extent to which the emerging pressures on their business emanate from local or international sources. Investors Looking for input in assessing their portfolio strategies. Integrated Companies Seeking an outside perspective on the likely future economic operating environment of the sector. Products Traders Trying to identify emerging underlying shifts in trade flows. Shipping Operators Conducting analysis of potential tanker demand, also reviewing the overall implications of the new IMO bunker regulations.